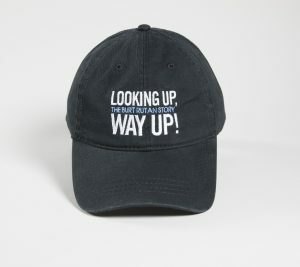 Products | Looking Up, Way Up! With $5 you’ll get updates regarding the film: all of the behind the scenes anecdotes, images, and clips. We appreciate the help. With $15 you’ll get a digital download of a hi-res photograph from the film that you can print, use as wallpaper for your computer, post around the web, and share with your friends. We only ask that you respect it as our intellectual property and restrict it to non-commercial usage. You will also receive updates of the film. A digital download of the film when it’s available and YOUR NAME listed on a special credits page of the film’s website. Plus all of the above. A limited edition poster created for the film. Plus all of the above. Ships anywhere in the world. 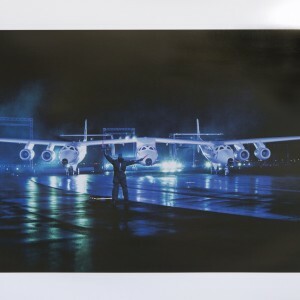 A premium 20 x 26“ POSTER from the rollout of WhiteKnightTwo and SpaceShipTwo in December 2009. Plus the updates, the mention on the website and the digital downloads. Ships anywhere in the world. A premium collector grade POSTER from the 2005 EAA Air Venture Museum show, Triumph of Vision. The image was also the cover of LIFE Magazine in October 2004. Plus the updates, the mention on the website and the digital downloads. Ships anywhere in the world. 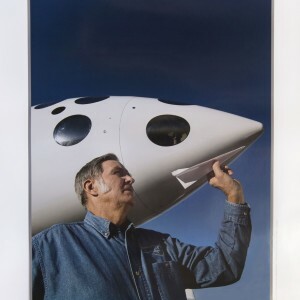 A collection of micro-scale Lego plans for Burt Rutan planes created by his son Jeff Rutan. This set includes step-by-step instructions to build 12 of Burt’s most popular planes out of Legos! Each plan is for a distinct 1/100-scale micro design. Lego blocks are not included but the plans are designed to work with standard Lego blocks. Plans will be sent in PDF form. A special limited-edition hat created for the film. Plus the updates, the mention on the website and the digital downloads. Ships anywhere in the world. A beautiful limited edition photography by photographer Mark Greenberg. 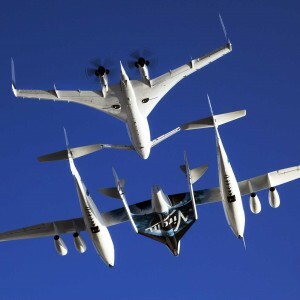 The 11×14 print catches the Rutan Starship trailing Virgin Galactic’s WhiteKnightTwo and SpaceShipTwo. Plus the updates, the mention on the website and the digital downloads. A photograph of you (or a loved one) in front of a Rutan Design in the credit sequence of the film. We will design a fun credit sequence around the pictures that you send! If you don’t have the money or the time to build your own plane find someone else’s and pose in front of it. Plus the updates, mention on the website and the digital downloads. 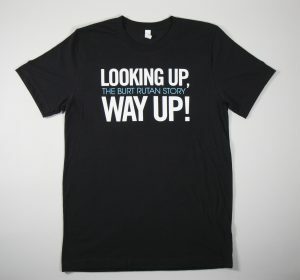 A special limited edition t-shirt of the film. Plus the updates, the mention on the website and the digital downloads. Ships anywhere in the world. 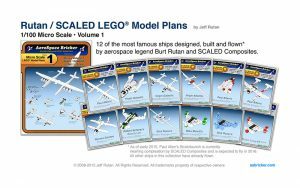 A collection of mini and micro-scale Lego plans for Burt Rutan planes created by his son Jeff Rutan. You’ll receive the 12 micro-scale designs (1/100), PLUS 6 mini-scale designs (1/30). Each comes with step-by-step instructions of Burt’s most popular planes. Lego blocks are not included but the plans are designed to work with standard Lego blocks. Plans will be sent in PDF form. Plus the updates, the mention on the website and the digital downloads. 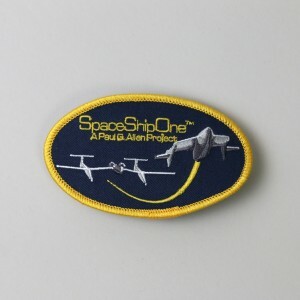 A SpaceShipOne patchcommemorating the suborbital flight that won the Ansari X-Prize. These patches were donated by Burt and Tanya Rutan, and you can’t buy them in a store. Plus the updates, the mention on the website and the digital downloads. A limited edition dvd of the film signed by the filmmakers, and with behind the scene features not available anywhere else. Plus the updates, the mention on the website and the digital downloads. Ships anywhere in the world. 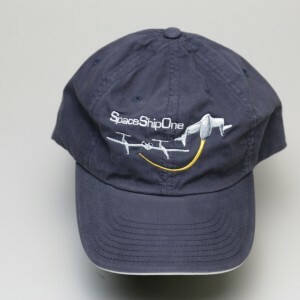 SpaceShipOne Baseball Cap that was donated from Burt and Tonya Rutan’s private collection. These caps were created especially for the Ansari X-Prize flights. Plus the updates, the mention on the website and the digital downloads. Ships anywhere in the world. 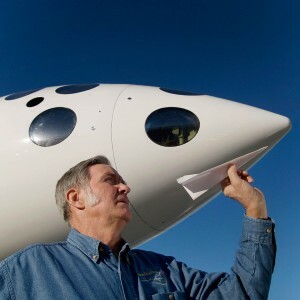 Burt Rutan Personality Test – Flat Cat. 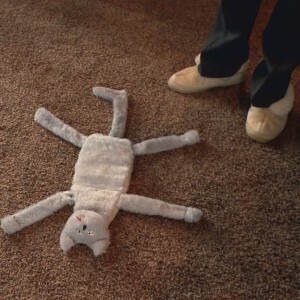 As seen in his video demonstration. 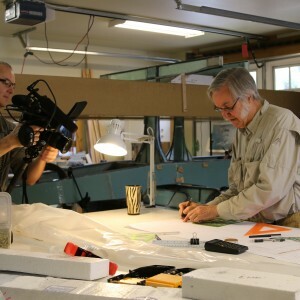 Each cat’s “death certificate” authenticated and signed by Burt Rutan. Plus updates, special thanks on the website and digital downloads. Ships anywhere in the world. 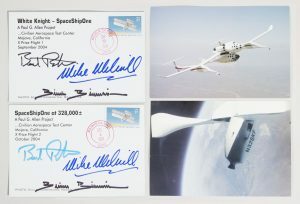 A set of two postmarked, commemorative SpaceShipOne postcards signed by Burt Rutan, Mike Melvill and Brian Binnie. One card is postmarked September 29, 2004, marking the first flight, and the other October 4, 2004, for the second flight. Plus the updates, the mention on the website and the digital downloads. Ships anywhere in the world. An invitation for just you to the Los Angeles or New York premiere of the film in case you want to go solo (travel and lodging not included). Plus the updates, the mention on the website and the digital downloads. 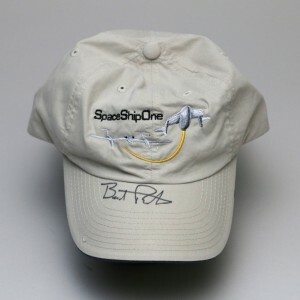 The SpaceShipOne Baseball Cap signed by Burt Rutan! A limited edition signed collector’s item given to us by Burt and Tonya Rutan. Plus the updates, the mention on the website and the digital downloads. Ships anywhere in the world. An invitation for you and a guest to the Los Angeles or New York premiere of the film (travel and lodging not included). Plus the updates, the mention on the website and the digital downloads. A limited edition coffee table book comprised of photographs and images collected for and featured in the film, behind the scene images, and the back story of how the film came about. Plus the updates, the mention on the website and the digital downloads. Ships anywhere in the world. Rutan’s original drawings for Model #375 The SkiGull. Burt’s unique, frameable working drawings for this groundbreaking aircraft. From beautiful large-scale multi-color CAD printouts enhanced with Burt’s hand-drawn revisions and calculations to sketches of his design and ideas on the back of a restaurant placemat and napkins. This curated collection will be selected for both their individual beauty and the innovative vision they represent, and all will be chosen for their exceptional quality. Some lots may include more than one item. Each work will be accompanied by a photograph documenting Burt signing the drawing. At Burt’s request we are unable to show you these drawings prior to the plane’s unveiling. So… following the SkiGull unveil we will post the entire catalog on a password protected site. Each donor will be given the opportunity to select the lot they wish to claim in the order of their pledge. In other words, the first to pledge gets first choice, the second pledge gets the second choice and so on. You also receive the updates, thank you on the website and the digital downloads. Ships anywhere in the world. 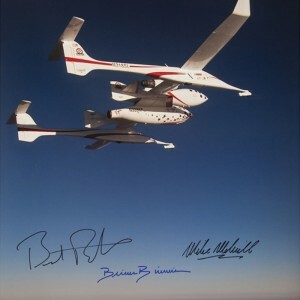 A rare SpaceShipOne print signed by Burt Rutan, Mike Melville and Brian Binnie. This large format 22×28 photograph is printed on Fuji Crystal Archive paper. There were only 25 ever made and signed. Photo by Mark Greenberg. Plus the updates, the mention on the website and the digital downloads. Ships anywhere in the world. A private screening of the film. antennaFILMS will travel to your town and host a special screening of the film and a Q&A session with the filmmakers for 50 of your closest friends. Plus the updates, the mention on the website and the digital downloads. **Please contact us first if you are international and wish us to travel to your town. Associate Producer Credit – Your name will appear in the film’s credits and on the website as an Associate Producer. In addition, you’ll receive the movie poster signed by the filmmakers, the limited edition photograph donated by photographer Mark Greenberg, your picture and/or your loved one standing next to a Rutan plane to appear in the film, two VIP TICKETS to the N.Y. or L.A. premier (travel and lodging not included), the limited edition t-shirt, the SpaceShipOne Patch commemorating the suborbital flight that won the Ansari X-Prize, the limited edition dvd signed by the filmmakers, and the limited edition coffee table book. Plus the updates, and the digital downloads. Ships anywhere in the world (all International shipment costs must be paid for by the receiver). Co-Producer Credit – Your name will appear in the film’s credits and on the website as a Co-Producer. In addition, you’ll receive the movie poster signed by the filmmakers, the limited edition photograph donated by photographer Mark Greenberg, your picture and/or your loved one standing next to a Rutan plane to appear in the film, two VIP Tickets to the N.Y. or L.A. premier (travel and lodging not included), the limited edition t-shirt, the SpaceShipOne Patch commemorating the suborbital flight that won the Ansari X-Prize, the set of two signed and postmarked SpaceShipOne Postcards, two of the Baseball Caps signed Burt Rutan,the limited edition dvd signed by the filmmakers, and the limited edition coffee table book. Plus the updates, and the digital downloads. Basically almost everything! Ships anywhere in the world (all International shipment costs must be paid for by the receiver).